A sickening video has emerged showing crowds of Islamic State supporters watching the barbaric murder of Jordanian pilot Moaz al-Kasasbeh on specially erected giant screens in the terror group’s de facto capital Raqqa. 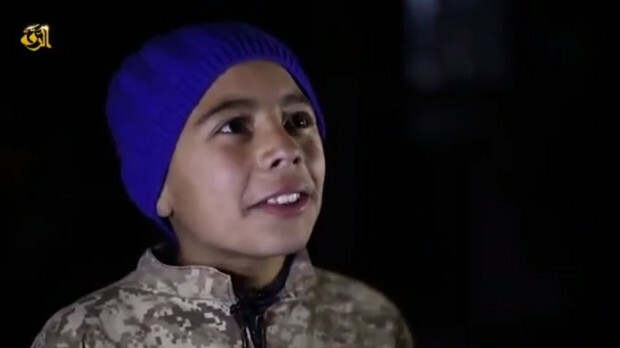 The four minute video, titled ‘Muslims’ Joy at Burning of Jordanian Pilot’, shows men and children gathering in the busy streets of the city to watch footage of Kasasbeh being burnt alive by terrorists. Among those questions is a child who appears no more than six-years-old. He is seen smiling and talking vividly about the murder, while eulogising about ISIS and their barbaric acts.